“Do I look like a terrorist or a Chinese?” said a 32-year-old lawyer from Arunachal Pradesh who claimed to have faced racial discrimination when she went to watch the Republic Day parade at Rajpath on Monday. 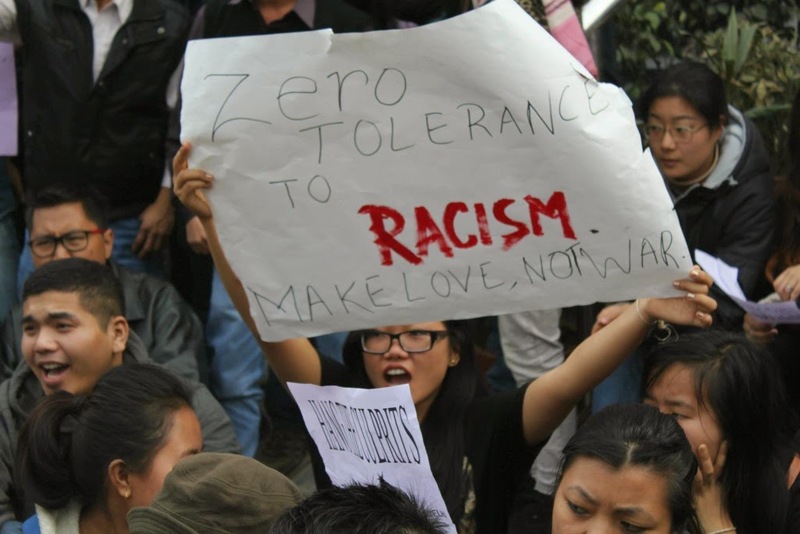 Liyi Noshi said a couple sitting next to her in an enclosure thought that she was not Indian, and they went to security personnel to find out how she entered the area. Security personnel then questioned her and she had to undergo frisking in the enclosure despite being frisked three times before reaching there. Liyi, who hails from East Siang district in Arunachal Pradesh, lives in a rented house at Pushp Vihar in Saket, and practices at Saket court. She had reached enclosure number 23 in Rajpath at 7.30 am after standing in long queues for 90 minutes. As it was raining, she was wearing a raincoat and was carrying nothing other than an ID card, a spectacle case, some keys and a couple of hundred rupees in cash. She said that a couple and two men were sitting next to her. “I was reading a booklet distributed in the enclosure about the two-hour-long procession when the man sitting next to me came there with a security personnel. The cop told me that the couple had complained about me being a security threat,” Liyi says. Liyi was shocked to hear the allegations, and said no women security personnel were even called to attend to the complaint. “The policeman asked for my ID card to prove my nationality and then told me to empty my jacket’s pockets. I told the policeman that I had crossed several layers of security to reach there, but he refused to listen. I was treated as if I was a terrorist or some Chinese spy,” she added. On being left with no other option, Liyi emptied her pockets to prove her innocence. As no incriminating material was found with her, the policeman apologised to Liyi, but did not take any action against the couple. “I was racially discriminated and humiliated in front of a packed enclosure. I felt so disrespected as an Indian that I tore the invite and left the enclosure,” Noshi said. “I cried on the way back, but was not able to seek help from people known to me as I was not carrying my mobile phone,” she added. The matter was reported to Robin Hibu, Joint Commissioner of Delhi Police (Training), who is in charge of north-east affairs. Liyi has decided against taking legal action. “This is not the first time that I faced racial discrimination in this city. Being a woman from the north-east community, we are routinely treated like outsiders who can be mistreated and humiliated,” she added.